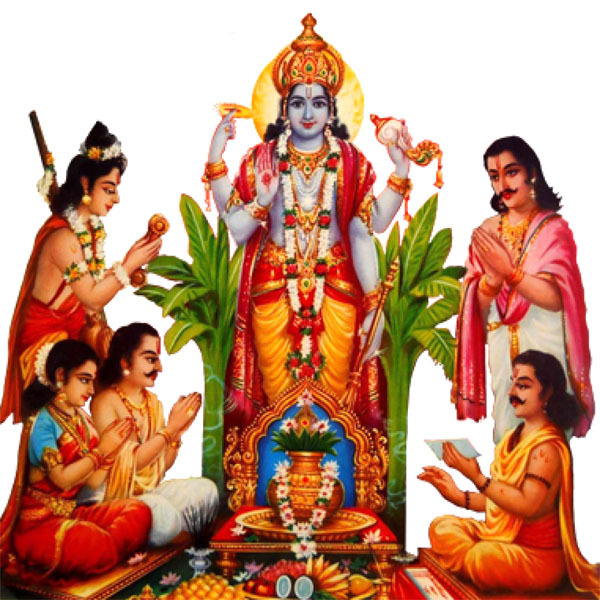 The Satyanarayana Pooja also clears negativity surrounding oneself and grants optimism and positive approach towards life in general. The Pooja is also believed to bless the devotee with good health. Satyanarayana Swamy Pooja is done to get favoring from Lord Satyanarayana Swamy and droning ensemble of his mantras. The significant piece of the pooja is recounting the immense stories of the god himself and about his elegance for the general population. One should requirements to do fasting, where the enthusiast do fasting must be perfect there just the poojai will be held. A size of Satyanarayana Swamy Picture is utilized for the poojai.